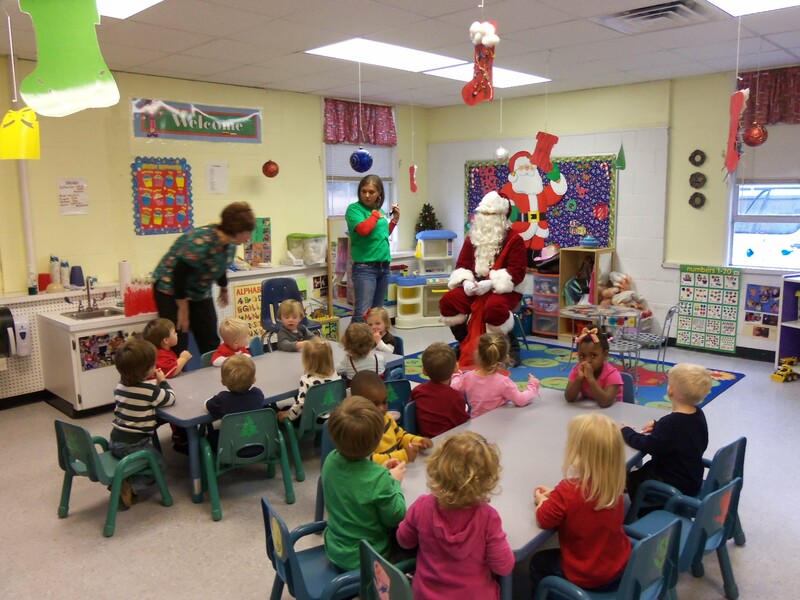 Santa Claus made a surprise visit to see all of the good little boys and girls at the preschool on Wednesday, December 21. Thanks for stopping by, Santa! Posted in Buckaroo News on December 21, 2011 by The Buckaroo Blog. Smackover Elementary School kindergarten students went Christmas caroling Tuesday to local Smackover businesses. The caroling is an annual Christmas tradition upheld by kindergarten teachers Carolyn Rowan, Lisa Jordan, and Kelly Arrington. Posted in Buckaroo News on December 20, 2011 by The Buckaroo Blog. The Smackover High School Cheerleaders attended the 2011 State Cheer Championship this weekend. Our girls were the runner-up in the 3A Division. Congratulations to Coach Clarice Long and her squad! Members of the high school cheer squad include: Brooklynn T., Brook T., Jordan M., Kiera G., Ariel D., Mariah G., Cherell W., Emily C., Lindsay B., Kayla G., Tiffini A., Leslie W., and Murphy A. These girls and their coach certainly represented our school well! The Smackover School District held its annual Spelling Bee on Friday, December 16, 2011. Fifth grader Robert Dixon won the Spelling Bee and will represent the district at the Union County Spelling Bee in the spring semester. Seventh grader Kara Burson will be the alternate. Posted in Buckaroo News on December 19, 2011 by The Buckaroo Blog. The fifth and sixth grade classes presented their annual Christmas program on Friday, December 16, under the direction of music teacher, Mrs. Sherri Wood. Thank you, students and Mrs. Wood, for all your hard work! Posted in Buckaroo News on December 16, 2011 by The Buckaroo Blog. The following Smackover High School students met their AR reading goals for the second nine weeks. As a reward they get to substitute one AR score for their lowest score in every class. It really pays to meet your AR reading goal (and you get to read some good books, too)! 7TH GRADE: Brycelynn B., Tyteauna B., Drew C., Courtney D., Laura D., Michael E., Mercedes E., Skylah G., Elizabeth G., Ashley H., Skyler K., Ashley M., Charrisa N., Jared R., Baylee S., Virginia S., Clay S., Savannah T., Hannah W., Tessa W., Kanyon W.
8TH GRADE: Doyne A., Hogan B., Denver D., Adam D., Alexus E., Erica H., Summer J., Kane K., Tori M., Justin P., Reagan P., Taylor R., Krisanna R., Mason W.
9th GRADE: Dakotah A., Aaron B., Disheana B., Tripp E., Tristan F., Lindsey H., Katherine J., Lexie J., Cody J., Cammie M., Meagan M.,Adrianna P., Cooper T., Jacob W.
10th GRADE: Gerrett A., Morgan A., Antonisha B., Alesha B., Christian B., Lindsay B., John B., Emily C., Sequin C., Sarah C., Troy D., Blane D., Charmaine G., Oleshia G., Hannah G.,Tucker H., Kastle H., Dominique J., Seth L., Sivanna L., Mason M., Cordell M. Ty M. Mallory P.
11th GRADE: Hope B., Caitlyn B., Abbi B., Leah B., Haley C., Ariel D., Darius F., Mariah G., Kaylee G., Olivia H., Ashton H., Savannah H., Tiffany J., Audrey K., Aaron L., Ryan L., Nicole M., Demetrius M., Shea S., Haley S., Brooklynn T., Brooklyn T., Cherell W., Sarah W.
12TH GRADE: Deonta B, Seth B., Courtney B., Landon B., MA B., Tate C., Reese C., Julie C., Antonio D., Cordarius E., Marquis G., Robbie H., Skylar J., Jasmine L., Justin M., Chance N., Kimberly N., Kayla N., Katelyn P., Ashley R., Blake R., Jeff S., Sharda S., Logan S., Brandyn T., Raquille T., Holly Y. Parents, if you have any questions about the high school Accelerated Reader program, please contact Tonya Corley. Posted in Uncategorized on December 16, 2011 by The Buckaroo Blog. The Arkansas Department of Education adopted the Common Core State Standards for literacy and mathematics last year. A new standardized test using the new Common Core State Standards will be in place in 2014-2015. The Arkansas Department of Education created a video for parents, educators, and community members to explain theses standards. If you have any questions regarding the Common Core State Standards, please contact Jennifer Lee. Posted in Uncategorized on December 15, 2011 by The Buckaroo Blog.